Few games carry more weight for the Quinnipiac women’s ice hockey team coming into this season than contests against the Harvard Crimson. While the teams had matched up four separate times last year, including in both the ECAC and National tournaments, the Bobcats came up empty handed every time. In fact, the last time Quinnipiac had defeated Harvard was all the way back on November 12th, 2010. This time out, Quinnipiac would finally flip the script. In a tightly contested game that needed overtime to determine a winner, Quinnipiac downed Harvard 2-1 at High Point Solutions Arena on Saturday afternoon. 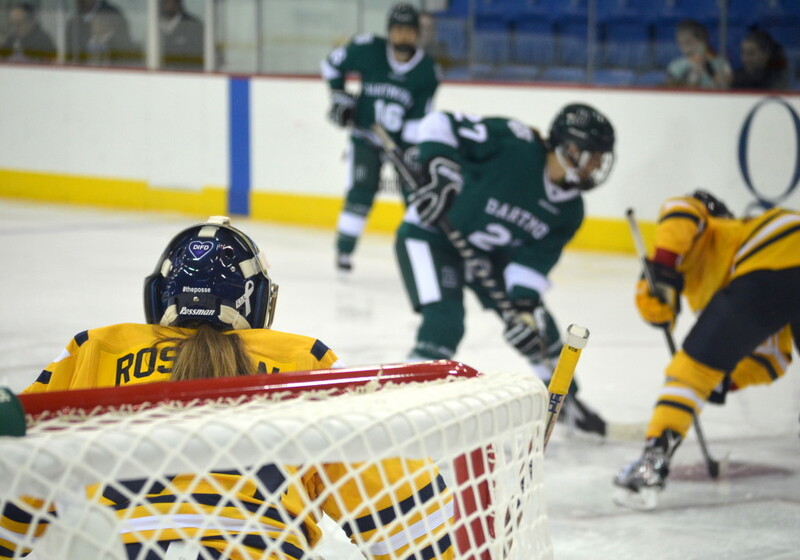 Coming into the game, the Bobcats were dealing with fatigue from the night before – when they defeated Dartmouth 7-1. 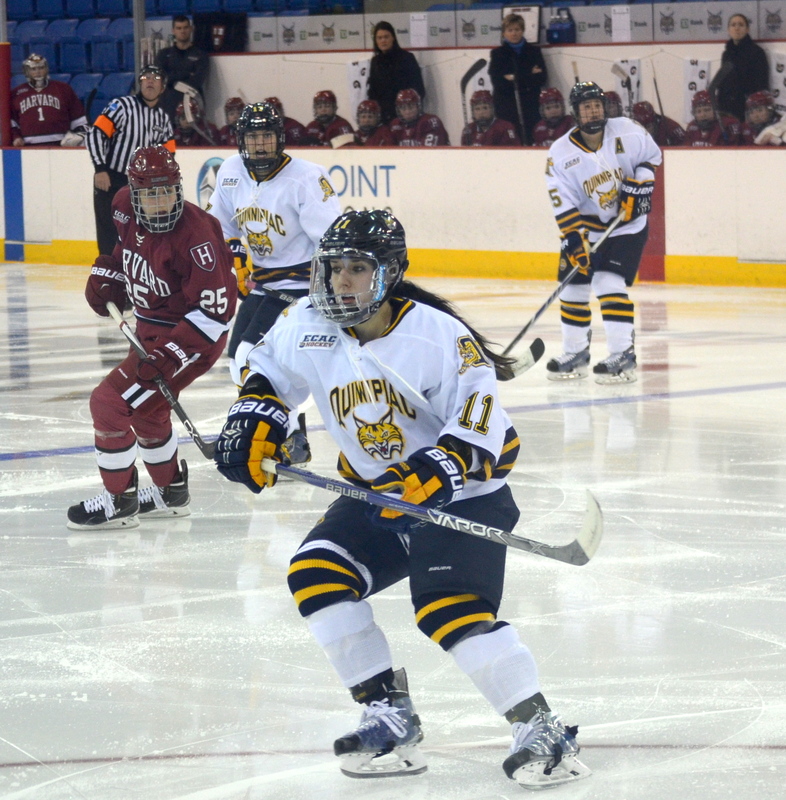 On the way to the victory, Quinnipiac accumulated many injuries to its defensive core, forcing the coaching staff to play standout freshman Melissa Samoskevich as the team’s 7th defender. While Samoskevich played the first two periods of the game as a defender, she would revert to forward for the third period and overtime on Saturday. Eventually, she netted the game-winning goal. Quinnipiac outshot Harvard 10-2 in the first period. Emma Woods scored first, dangling the puck past two Crimson defenders giving the Bobcats the 1-0 lead. Both teams threatened in period No. 2, but the Bobcats 1-0 lead remained intact heading into the final frame. Harvard almost tied the game 7:30 into the third period, but a spectacular stretching save from Rossman kept the game scoreless. Harvard’s offense continued to press though, and it paid off as Karly Heffernan put a rebound shot past Rossman to even the game at 1-1. In overtime, both teams would came out firing and looked to seal a victory. After T.T Cianfarano had a shot on net blocked by the Harvard goaltender, Samoskevich corralled the rebound and placed it in the back of the net for the victory. With today’s victory, the Bobcats have gone undefeated over their last 10 games. 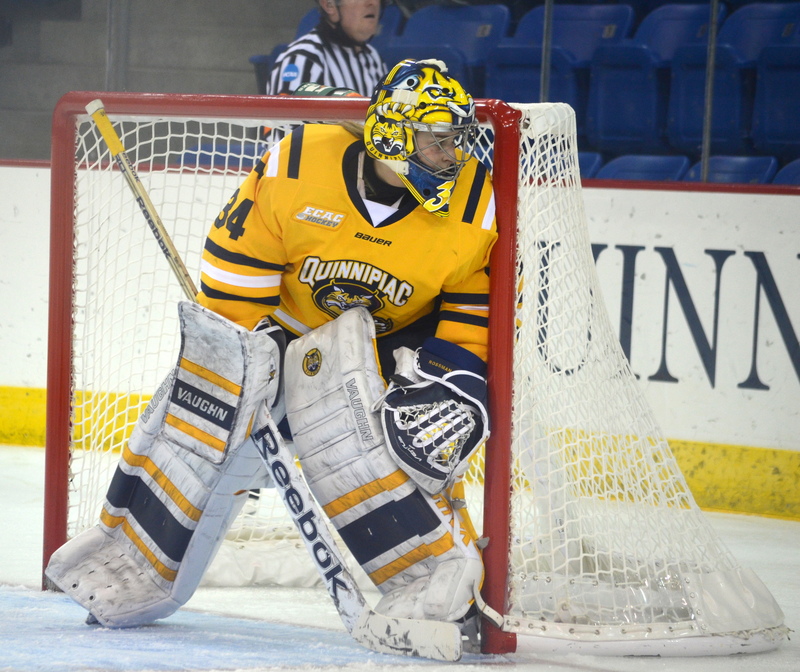 Quinnipiac improved its record to 13-1-3 on the season and 7-1-2 in conference play. Quinnipiac will now turn its attention to the University of New Hampshire, as the Bobcats are set to host the Wildcats at High Point Solutions Arena on Dec. 11th. 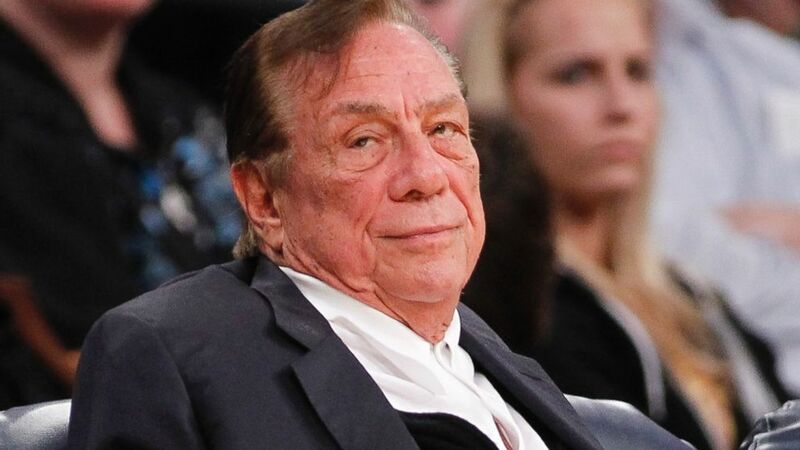 Will Jews Reject Donald Sterling gifts? Recent comments attributed to Donald Sterling, the Jewish owner of the NBA’s Los Angeles Clippers who was banned for life from the team by the league’s commissioner on April 29, have been denounced as racist by numerous area Jewish organizations, some of which have received tens of thousands of dollars from the embattled owner. A search of public records, made available through the website Guidestar.com, indicates that from 2010-2012, the Donald T. Sterling Charitable Foundation gave at least $10,000 to groups like The Jewish Federation, Jewish Vocational Service of Los Angeles (JVS) and the Museum of Tolerance. Rabbi Marvin Hier, dean and founder of the Simon Wiesenthal Center and its Museum of Tolerance, supported NBA Commissioner Adam Silver’s actions. The museum received three donations of $10,000 between 2010-2012, according to Guidestar.com. 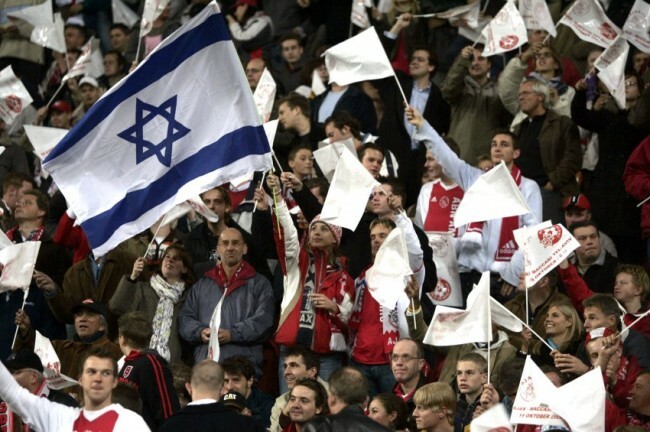 The NBA commissioner’s action “is what should happen whenever someone makes anti-Semitic or racist remarks, as millions of people are touched by this view,” Hier said. Federation CEO and President Jay Sanderson made it clear in an April 29 phone interview with the Journal that his organization would not consider future donations either. It received $10,000 in 2012. The NBA’s commissioner placed a lifetime ban upon Sterling, as well a fine of $2.5 million, the maximum amount allowed under the NBA constitution. Silver said at the time that he would do everything in his power to rally the NBA governing body into forcing a sale. Since this story broke, several of the Clippers’ major sponsors, including longtime partners CarMax and State Farm, have either suspended or terminated their deals with the team. “We are shocked and stunned by the blatant racism of these alleged remarks, particularly from Mr Sterling, who has been a supporter of many non-profit organizations and understands the tragic consequences of discrimination and anti-Semitism,” it said. The organization received a total of $30,000 from the Sterling Foundation between 2010 and 2012, and used the funds to support work with at-risk, foster and probation youth, according to the statement, which did not comment on the possibility of future donations. The Los Angeles Museum of the Holocaust received identical gifts that were spent to provide free Holocaust education, according to a statement from its board. Looking ahead to the potential of future donations, the statement asked the question: “If funds that have already been committed to charity cannot be distributed to organizations that are committed to fighting bigotry, how else should they be used? Yeshiva Gedolah of Los Angeles: $50,000 (2010). Beit T’Shuvah: $10,000 (2010); $10,000 (2011); $10,000 (2012). Guardians of the Los Angeles Jewish Home for the Aging: $10,000 (2010); $10,000 (2011); $10,000 (2012). Jewish Vocational Service of Los Angeles: $10,000 (2010); $10,000 (2011); $10,000 (2012). Los Angeles Jewish Home: $10,000 (2010); $10,000 (2011); $10,000 (2012). Los Angeles Museum of the Holocaust: $10,000 (2010); $10,000 (2011); $10,000 (2012). Museum of Tolerance: $10,000 (2010); $10,000 (2011); $10,000 (2012). Creative Arts Temple: $10,000 (2012). Jewish Federation of Greater Los Angeles: $10,000 (2012). Temple of the Arts: $10,000 (2012).